Why Indians Prefers Government Jobs (Sarkari Naukri)? Home Career Tips Why Indians Prefer Government Jobs (Sarkari Naukri)? 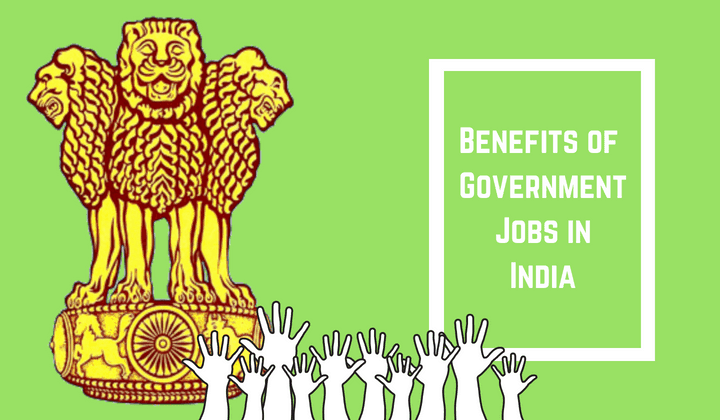 Why Indians Prefer Government Jobs (Sarkari Naukri)? If I ask you a question: Do You Want a Sarkari Naukari (Government Job)? Well! I know your obvious answer would be Yes! In fact, anyone in India would say yes to a Government job. Whether he is a graduate from any discipline, let it be engineering, BA, B.Com or even MBA. Every single graduate wants a Sarkari Naukri. But why Indian Prefer Sarkari Naukri? So the question is why everyone in India prefer a Sarkari Naukari? I think there are some genuine reasons for it. I, as an engineering graduate would always prefer a Sarkari naukri. But in a government job, your monthly salary is guaranteed and you would be paid on time. In fact, while budgeting government first grants funds for all Government jobs and then allocate funds for other public welfare schemes. In simple words, from the budget first Government employees would be paid, if money is left then it will go to other schemes. Hence, it will never happen in a Sarkari Naukari that an employee is not paid because government has no money. However, it may happen in a private sector job. If company is not making profit then it might not have money to pay workers. For future your entire life is insured, you do not need any other kind of insurance (or Bima) plans. After you retire from the job you do not have to worry about working somewhere else. You and your wife would enjoy the pension till one of them is alive. If one partner is dead then also you get half of the pension amount. In private jobs there is no such thing as pension, only monthly salary. In government jobs after retirement you do not have to depend upon your children unlike private jobs where you have to look towards your children. Lifelong pension is only in government jobs not in private jobs. In private sector job you get paid only when you work. The workload in a private company is too much and you have to work for full 8 to 10 hours. Your every activity is monitored by the manager if he is not satisfied with your work or work is not up to the mark then you might be fired. However, in government job once you are employed no one can fire you. Workload in a government job is negligible and you really enjoy the work environment. Moreover, in a private job you have to pass assessment on regular basis. They assess you if you are fit for the job. If you are fit then only you can continue to work otherwise company will say goodbye. But in a sarkari naukri there is no such thing, just tension free work environment. That is why every Indians want Government jobs. In government jobs you get to enjoy all holidays in a year. I remember my aunt was a teacher in a government school and she used to spend vacation twice a year. The summer vacation of at least 50 days and winter vacation of 10 to 15 days. Moreover, she also took leave on Diwali for 10 days. At least, thrice in a year! And the best part is she got paid even when she was on leave. You cannot even imagine such holidays in a private job. You are paid only when you work. If you decide to take even one holiday, then the company may detect your salary for that day. First of all in private jobs you do not get leave so easily. On other side in a government job you can enjoy all holidays in a year. Hence a government job is preferred in India. In government jobs housing facility is already provided by the government. For example, my uncle was in Air Force and his family always lived in government quarters. Today in a city, renting a 2BHK flat will cost you Rs 10,000 to Rs 15,000 per month (even more). What you earn monthly, half of it will only go for paying rent of the house. But if you have a sarkari naukri then you do not have to bother about the rent. If you have a government job then you get to live in their quarters for free. For a same government house, a person working in a private company will have to pay Rs 15,000 to Rs 20,000 monthly. That is the difference between a government job and a private job. Free medical facility is yet another reason why Indians want to get a government job. In India, even a salaried man cannot medical treatment. For a small cut in your finger, a tetanus injection would cost Rs 1000 or more. Plus you have to pay fees for the doctor. So a small cut in your finger would cost this much then what about a full surgery. My relatives had a surgery for stones in their stomach and it cost them about Rs 1,00,000. But if you have a government job then your medical expenditure would be zero for your entire family. Whether it is a small cut or an open heart surgery. I remember my grandparents worked in Indian railways and they had open heart surgery many times for free in a railway hospital. An open heart surgery for two persons twice in a private hospital would have cost more than Rs 1000, 000/-. But because of their government job it was free for them. That is the difference between government and private. A government job would ensure that you will get TA/DA (travelling allowance and dearness allowance) every year. In TA you get to travel from one place to another free of cost. Mainly by railways. For air ticket you will get concession. Similarly they get DA or bonus every year if there is a price hike for commodities. That is why people in India want a government job because everything is taken care by the government. Well! Let me warn you here, I am not encouraging you for any malpractices. But unfortunately it is a reality that in government jobs there is an opportunity to make a lot of money through bribe and commissions. Although that is illegal however people in government jobs do make a lot of money from under the table. Hence there stipend may look very less but they make a lot of money through other means. I am not encouraging you to do illegal things, however this is a reality. Finally, if you are a young man and have a sarkari naukri then you will be flooded with marriage proposals. You will get hundreds of proposals every week from your community. Everyone would like to give their daughter to a man who has a government job. I personally know many friends, who are not getting good offers for their marriage only because they are into business. So this is also a reason why Indians love Sarkari Naukri. Finally, Indians want government jobs for greater social acceptability. A man who is an IAS or IPS officer has a greater respect in a society compared to a man in any other profession. Respect and greater social acceptability is still very important factor even today. Hence Indians would like to go for a sarkari naukri. From pension to government quarters, from free medical facility to marriage proposals, still sarkari naukri is the first choice for millions of Indian. Previous articleWhy Career Guidance is Important? They believe in reciprocal relationship between individual behavior and environment. 1. guaranteed pay but very less when year passes. 4. private people are really enjoying holidays in terms of quality. Yes, all reason are true…. Government job is a best job. yes every reason is True….